With views of the rugged Chugach Mountains and tidal inlets, the Tony Knowles Coastal Trail offers a breathtaking experience unlike any other rail-trail in the country. Some of your traveling companions may even include a local moose or two. Journey along Alaska’s Tony Knowles Coastal Trail. 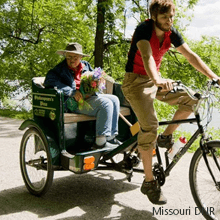 The next great rail-trail could be an incredible boon to the rural Missouri communities along its path. But state officials are wavering on whether to accept the rail corridor. See how the Rock Island Trail would be a game-changing trail. 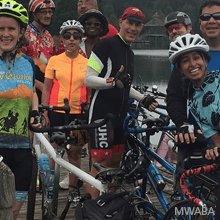 With tandem bikes, trails and a bit of organizing, Karla Gilbride is helping fellow blind and visually impaired athletes get outdoors—and enjoy the incredible benefits of the growing Capital Trails Network. Last year marked an exciting milestone for the rail-trail movement: nearly 2,100 rail-trails are now open across the country! 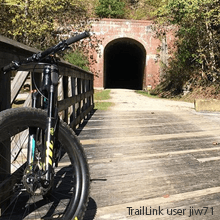 Visit some of the newest rail-trails that opened in 2018. Two grants totaling more than $340,000 will give a major boost to West Virginia's growing trail network. The funds will help acquire portions of rail corridor between Parkersburg and the Pennsylvania border. 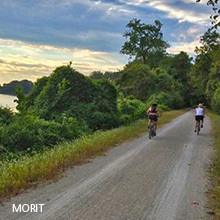 The segments are part of a developing 238-mile rail-trail that will help dozens of rural Appalachian towns—and a part of the Industrial Heartland Trails Coalition's efforts to create an incredible four-state, 1,500-mile trail network. Pat and her husband, Edward, are known for supporting the creation of the iconic Katy Trail State Park and the developing Rock Island Trail. Save the Date for Opening Day for Trails! Our annual celebration of the trails we all love is coming up on Saturday, April 13! 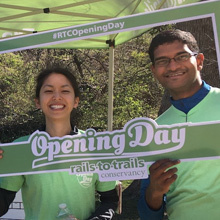 Save the date for Opening Day for Trails, so you can kick off the spring trail season by hitting your favorite trail for a walk, run, ride or special event! Learn more about Opening Day for Trails. 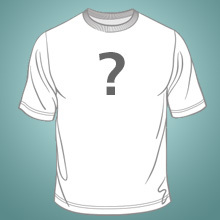 We've got a brand new design for our 2019 Member T-shirts—picked by thousands of RTC supporters like you! See which design won the vote, then pre-order one for your very own! Baltimore's growing trail network is gaining traction and helping transform how people in Charm City get around, get outside and connect with their community. When complete, the trail system will connect more than 50 neighborhoods and help address public health and equity issues that are facing the city. 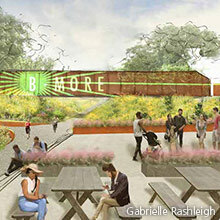 Learn how the Baltimore Greenway Trails Network is building healthy places and neighborhoods for everyone. Learn more about how Trails Transform America. These Trail Towns are Tops! Already wistfully thinking ahead to warmer weather and spring bike rides? 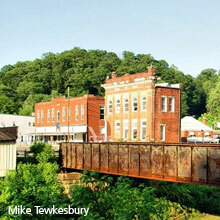 Here's a great list of trail towns to start your planning! These five communities truly embrace their trails and offer all the services and amenities that trail travelers need. Read about more exciting trail destinations in the Trail Traveler blog on TrailLink.com. 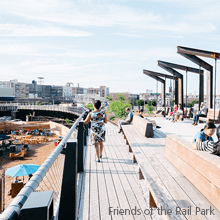 Get access to all the resources you need to create a vibrant rail-trail for your community—from funding opportunities to technical assistance. Sign up for the Trail Expert Network. Great articles and gorgeous photos from the trails you love. Beautiful photos from the trail to your desktop. Be sure that this message doesn't get sent to your junk-mail folder. Please add Rails-to-Trails Conservancy (info@railstotrails.org) to your safe senders list in your address book. Please do not reply to this message, contact us by visiting our website.